The Nissan Skyline was not originally manufactured to comply with all applicable FMVSS. 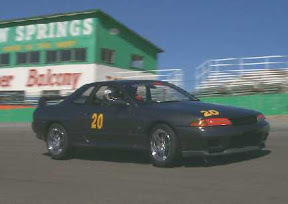 Such a vehicle that is less than 25 years old can only be lawfully imported into the U.S. if (1) it is determined eligible for importation by NHTSA and (2) it is imported by an RI or by a person who has a contract with an RI to bring the vehicle into compliance with all applicable FMVSS within 120 days of entry. To learn the modifications the petitioner stated were needed to conform Nissan Skyline vehicles to the FMVSS, you should go to the DOT Docket website at http://dms.dot.gov and enter docket number 5507 in the appropriate block on the simple search screen. 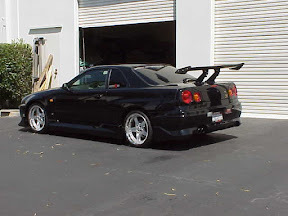 You should note that the petition sought import eligibility for 1990-1999 Nissan GTS and GTR "Skyline" passenger cars. After granting the petition, the agency learned that the modifications identified in the petition were not sufficient to conform certain model and model year vehicles that were covered by the petition. The agency therefore partially rescinded its grant of eligibility, leaving only R33 model Nissan GTS and GTR passenger cars manufactured between January 1, 1996 and June 30, 1998 eligible for importation. A list of RIs can be found on our website at http://www.nhtsa.dot.gov/cars/rules/import. You should consult the importers on that list to see whether any are willing to conform the vehicle that you seek to import to all applicable safety and bumper standards, and if so, what they would charge for that work. If you decide to import the vehicle, one potential complicating factor is that the RI who petitioned NHTSA to determine the Nissan Skyline eligible for importation requested, and was granted, confidentiality with respect to the modifications needed to conform to the vehicle to certain of the standards. As a consequence, that importer (J.K. Technologies, LLC of Baltimore, Maryland) has claimed a proprietary interest in the modifications covered by the confidentiality grant. This does not preclude other RIs from attempting to modify the vehicle. However, should those importers not gain access to the modifications covered by the grant confidentiality, they will have to demonstrate to the agency, at the time they submit a conformity certification package for a Skyline, that they have made equivalent modifications that permit the vehicle to comply with the standards covered by the confidentiality grant. Please note that we determined the vehicle eligible for importation based on its capability of being modified to comply with all applicable standards. We did not approve J.K. Technologies, LLC as the "exclusive" importer of the vehicle. As previously indicated, any other RI is free to import the vehicle, but will have to demonstrate in the conformity package submitted to the agency to obtain release of the conformance bond furnished at the time of importation that the vehicle has been brought into conformity with all applicable standards, including those covered by the grant of confidentiality to J.K. Technologies, LLC. You should note that if you were to import the vehicle, the necessary modifications would have to be made by an RI, and that importer would have to certify to us that the vehicle conforms to all applicable FMVSS in effect on its date of manufacture before the vehicle could be released to be licensed or registered for on-road use. One of the reasons that an RI is required to import and modify a vehicle that was not originally manufactured to comply with all applicable FMVSS is because the RI stands in the stead of the vehicle’s original manufacturer to provide the vehicle’s owner with notification and remedy in the event that the vehicle is determined to contain a safety-related defect or a noncompliance with an applicable safety standard. Because the original manufacturer would not be responsible for the vehicle being in the U.S., it would have no legal obligation to perform this import safety responsibility.